The Clinical Nurse Manager of Employee Health will oversee clinical operations of the Employee Health Centers at our various locations. The Nurse Manager is responsible for both the day- to -day operations of the enterprise wide team, but also for the consistency with employee health policies, procedures and practices. Assists the Medical Director with special projects and has constant collaboration to ensure a strategic partnership. Serves as a clinical resource and point person for employee health services within the team and organization. Assists in the development and delivers a comprehensive employee health services system that provides educational materials, educational programs, referral information, pre-employment health screenings, and health care. Discusses laboratory and health screening results with employees/participants. Provides appropriate referrals as necessary. Coordinates employee return to work requirements with Supervisors and HR Business Partners as required, in accordance with policy. Examines employees who are injured on the job or on hospital property and refers them for follow-up treatment as necessary. Provides medical stabilization for employees, participants, volunteers and students as feasible until emergency medical treatment can be initiated. Under the direction of the Medical Director, orders laboratory tests, x-ray studies and other diagnostic services as necessary in order to determine job performance capabilities and to rule out contagious diseases. Examines and treats minor illnesses and injuries, within the established guidelines and protocols, and not exceeding the scope of practice as determined by the State Board of Nursing. Complies with Employee health policies and protocols to address such areas as services provided in Employee Health, employee counseling, and treatment with prescription medications (when co-signed by the Medical Director). Maintains health service records relating to the number of employees seen, types of visits, drugs dispensed, referrals and infectious diseases identified. Prepares and distributes associated reports and analyses. Prepares and maintains health service records on employees/participants in accordance with policies/regulations. Ensures maintenance of equipment and examination rooms. Maintains and documents POCT (Point of care testing) and emergency equipment checks in the appropriate timeframe per policy and procedure. Ensures appropriate medical inventory levels by ordering and stocking supplies, medications and vaccines as necessary. Develops, maintains and delivers wellness programs that provide education and continuing health improvement. Utilizes the Employee Assistance Program to assist employees with dependencies and/or other stresses. Tracks data regarding Employee Health initiatives to meet quality standards and assists with quality system reviews. Coordinates the development/revision of Employee Health policies. Has an established collaborative agreement with the Employee Health and Wellness Medical Director. 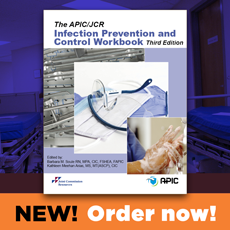 Diagnose, treat, and manage acute and chronic occupational health injuries/illnesses. 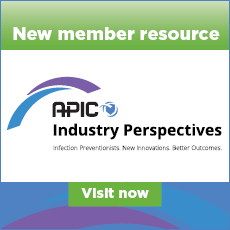 Evaluate, treat, and manage occupational exposures to infectious diseases. Consult and refer to the EHW Medical Director and/or appropriate specialist as needed. Order and interpret diagnostic tests. Prescribe OTC/prescription medication and other treatment regimes. Educate associate on occupational injury and/or illness. prevention/treatment/management. Determine duty status and communicate this to HR. Coordinate care to assure associate’s timely return to full duty. Provide timely diagnose, treatment, and management of minor acute medical problems. Assist in the management of stable chronic medical problems. Communicate with associate’s patient home to ensure continuity of care. Counsel/Educate associate of importance of disease prevention and healthy lifestyle. Provides assistance to the Human Resources Department by providing appropriate information and literature to inquiring potential and existing employees. Demonstrated ability for program administration and development. Appropriately evaluate, treat, or triage employees with injuries/illness. Ability to maintain and administer confidential and sensitive information in an appropriate manner. Must be able to multi-task and prioritize both duties and events in importance. Attention to detail and information accuracy are critical. Demonstrated sensitivity to applicant/employee circumstances and attitudes. Sets priorities, uses time and resources effectively. Provides accurate, consistent answers to employee requests. Is knowledgeable regarding departmental processes and procedures and associated regulatory requirements. Bachelor of Science in Nursing preferred, Associate degree in Nursing or Diploma from and accredited nursing program. Two to four years previous experience in employee or occupational health preferred. Demonstrated proficiency with Microsoft Word, Excel, and e-mail; ability to master internal HRIS and associated computer systems.